Miele washing machines are German engineering at its best. They have won the readers digest best brand in Europe in both 2005 and 2006. One of the reasons you know that you’re buying into a quality make. 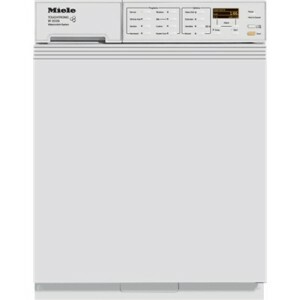 In fact it seems the words quality and expensive go hand in hand with Miele washers. For Miele the old idiom is true , you do get what you pay for. Miele is the largest family owned business in the world. Thirty-four countries have subsidiary companies that sell Miele products. Although the Miele name is a well known name in Germany. It is only lately that they have set the stage for selling Miele products in the United States. Donald Trump has partnered with Miele to furnish his latest project Trump Hollywood, located in Hollywood, Florida, with Miele appliances. This is quite an honour for Miele to be chosen for this prestigious offer. These washers are expensive. But like many things, you do get what you pay for! These front-loading washers are solidly-constructed, well-balanced and very quiet, especially considering their high velocity drum speed – up to 1400RPM on some models! 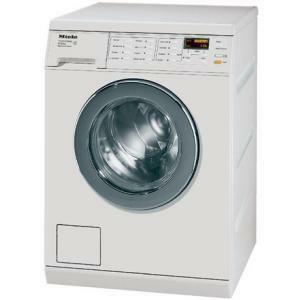 All Miele washers offer 24-hour delayed start – do your laundry while you sleep! 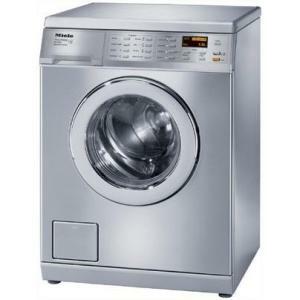 The high customisability offered by Miele washers means that you’ll be able to wash just about anything in one of these machines – if you choose a large-capacity model. Miele washers are one of the first lines to take advantage of PC – and even internet – connectivity. Technicians can use a laptop to diagnose problems and adjust settings accordingly, without ever opening the machine. Additionally, you can use Miele’s “RemoteVision” service to transmit important troubleshooting information straight to tech support, often eliminating the need for a repair visit. these washers are expensive, and they’re only available in white or stainless steel finishes. Some models have a low capacity – 2.3 cubic feet – for their price range. These washers do not have an Energy Star rating, so they may be costly to operate during peak periods (delayed start comes in handy for this). Lastly, some users think the “Touchtronic” controls make choosing the correct combination of cycles unnecessarily complex. Looking what real people think of their Maytag, find which washer get the thumbs up and the thumbs down.